Chances are good that your camera has one. Adobe Photoshop (and Elements) and Lightroom all do. Apple Aperture and iPhoto have one, too. So do Google Picasa and Picnik. And GIMP too. I’m talking about histograms, a really cool and easy way to evaluate your photos. Don’t let anyone tell you that histograms are complicated, or that you won’t understand what they mean because it’s too technical. That’s bull! They’re simple, visual tools that everyone can learn to use. See, I told you it was simple. But the question is … What purpose does it serve? Many chapters, if not entire books, have been written about histograms. They can be used while shooting or editing. 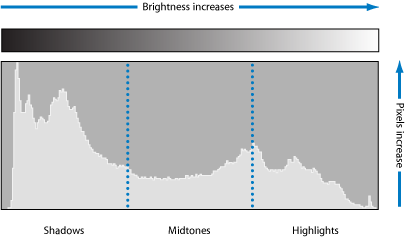 Some folks use them as an aid in getting proper exposures, since in bright sunlight it’s easier to see your camera’s histogram than the image you just shot. They can help tell you when you should be using a flash. They can also be used as a guide for adjusting contrast, or even when doing color corrections. Or to avoid “clipping” of shadows and highlights. Your personal limitations depend a bit on your individual camera and software. But the one thing that you all can use a histogram for is to make sure that the image you’re about to use (to sell the item you just worked so hard to create) represents the “personality” of that item. Huh? Follow along – you’ll see what I mean. Nonsense! Sure that photo may have been beautiful, and properly exposed, and balanced, and safe. But that doesn’t mean that every histogram should look the same. Think about what a histogram of a polar bear on snow might look like. Or how about star trails on a moonless night. Neither would look anything like this example, so why should all of yours? They shouldn’t. Okay, but what should they look like? The answer … it depends. Come on, keep following. I want to show you two examples of photographs I found. 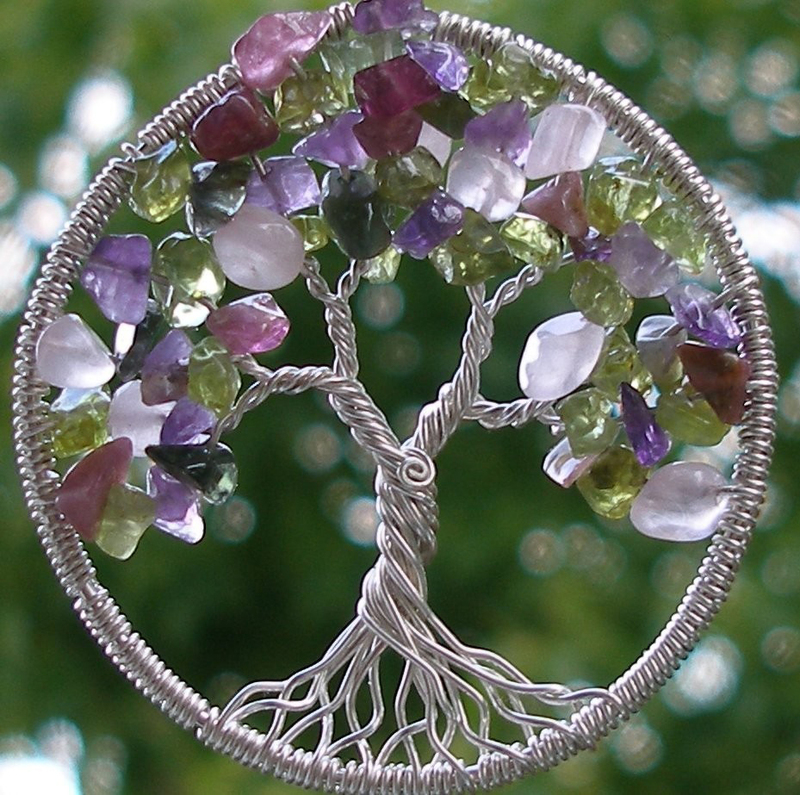 The first, from Ellen (Etsy shop ethora) depicts a beautiful shot of a silver and gemstone pendant. Ellen calls this piece “Tree of Life,” and does a fantastic job of giving the shot a soft, natural look that you would expect from something with that title. The mainly green, out of focus background really complements this piece. And this relates to a histogram how? Well, here’s the histogram, so let’s think about it. Despite the complexity of the piece, Ellen does the right thing by understating the shot. No expanses of black shadows. Lots of midtones (on the slightly darker side), enough brights to show off the stones and the detail of the metalwork, and only the slightest amount of unavoidable overexposure (the spike at the very far right caused mainly by that little flare at the bottom left of the image). Overall, a really nice shot! Here’s another. This one is from Prizy (Etsy shop prizysebastian), a designer showing her signature dress in bright red. As intended, the dress certainly stands out against the white background chosen for the shot, and the impact of the small black areas adds a nice touch. There’s nothing subtle about this shot, but you don’t wear a red dress if you’re trying to be subtle! So let’s take a look at this histogram and see how it differs from the first. Unless you’re not paying any attention whatsoever, you can easily spot the differences. A spike of the blacks (due to the deep shadows around the door and its handle), very few midtones, lots of appropriate brights (from both the dress and the door) and no overexposed areas. Another great shot! So what’s the point? Well, to put it plainly, both shots are perfect for their intended purposes. Use your imagination and try to envision Ellen’s histogram with Prizy’s dress and vice versa. What would they look like? I’ll tell you – you’d have two crappy photos! The moral of the story, if you made it this far, is that you should learn about what histogram features are available to you on your camera and in your software, get familiar with using them, and at least take a quick peek at them before you post your images. Ask yourself, with the help of your histogram, if the photos truly represent what you’re trying to sell to your customers. If not, go back and try again!